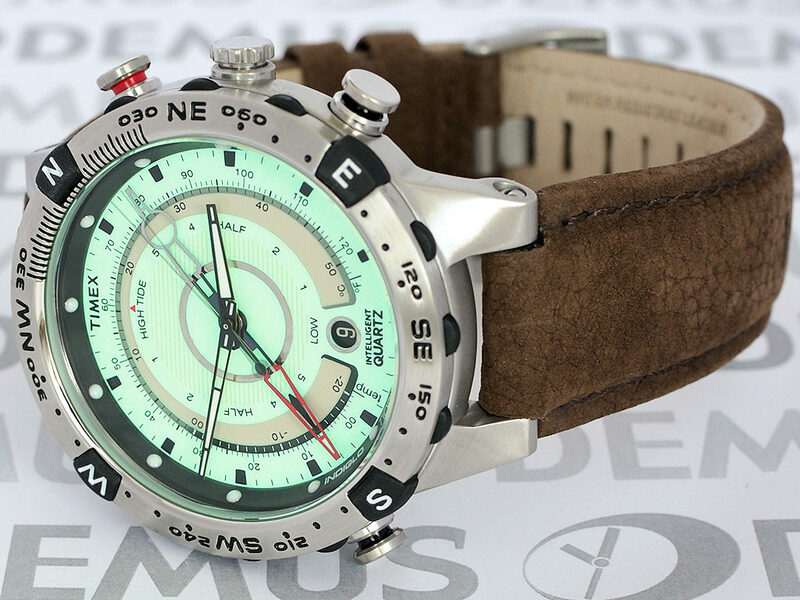 Watches with a compass can be quite beneficial to you in many situations, especially if your the type of person who likes outdoor exploration such as camping, traveling, or even military work. There are many different ways a compass may be implemented into the watch design, some of them have mini compasses inside the face of the watch, while others may have a large compass located on or around the bezel of the watch, some more advanced models may even have a digital compass, it really comes down to you and what you prefer. One such watch that has a digital compass is the Casio Men’s PRW2500T-7CR Pathfinder, this is one beast of a watch that centers around self orientation. To add to its diversity, the watch is also solar powered, water resistant up to 660 feet, can keep the time of up to 46 cities, can store up to 5 different alarm times, and is one durable strongly built timepiece. This Casio watch also has a 4.5 star rating on Amazon from a whooping 200 buyer reviews, which goes to show how great it is. 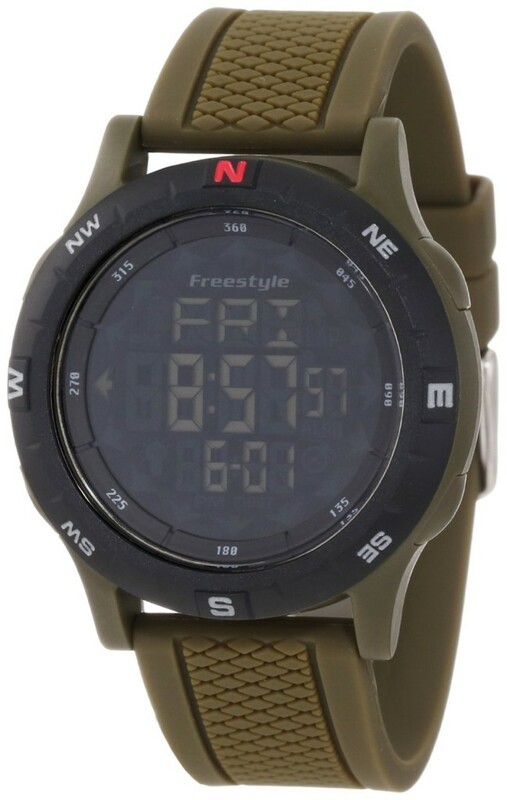 Here’s a watch that is also geared towards finding your way, but it has a completely different style compared to the above mentioned Casio Pathfinder. Unlike the Pathfinder, this watch is not digital, and the compass is located just inside the bezel. The look of this watch is somewhat old school, and reminds me of an exploration timepiece you would have found on European sailors some 50 years ago. The Seiko Adventure-Solar is sporting a solid leather strap, Japanese quarts movement, it’s also solar powered and encased in a beautifully polished stainless steel case, it’s also water resistant up to 330 feet. Next on the list! 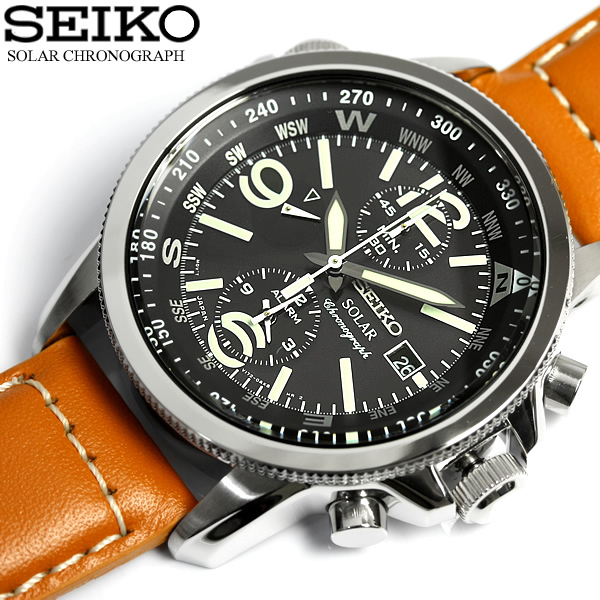 This one is a Timex Adventure Series compass watch, it really reminds me of the Seiko Adventure-Solar Classic with its leather strap, and vintage style. The compass on this one is digital, it also has an advanced feature that allows the compass to work properly even if the watch is angled and not perfectly straight. This watch has some really neat features, including a digital thermometer with an analog display that will measure the temperature of air and water, the watch is water resistant up to 330 feet. This Timex Adventure Series also comes in a few different color/design variations, such as the T2N738, T2N739, T2N740 and T49865. This is a great watch with a very refreshing modern look. The mechanics of the watch runs on Japanese quartz digital movement, the compass is also digital and supports 16 cardinal directions with a 1 degree resolution. The casing of this watch is made of a durable poly-carbonate making is very light weight and extremely comfortable to wear for an active individual. The strap is a very soft malleable silicone rubber, adding to its performance as a “freestyle” timepiece. The compass indicators are well displayed on the bezel and very easy to see, the watch is also water resistant to 330 feet. If you haven’t herd of Wenger before, they are a prestigious swiss watch company that has been around for ages, since 1908 to be exact. Wenger supplied the entire Swiss army with their reliable watches. This is a piece that will easily last a lifetime, they are known for unusual durability, creativeness, and smart multifunctional features. 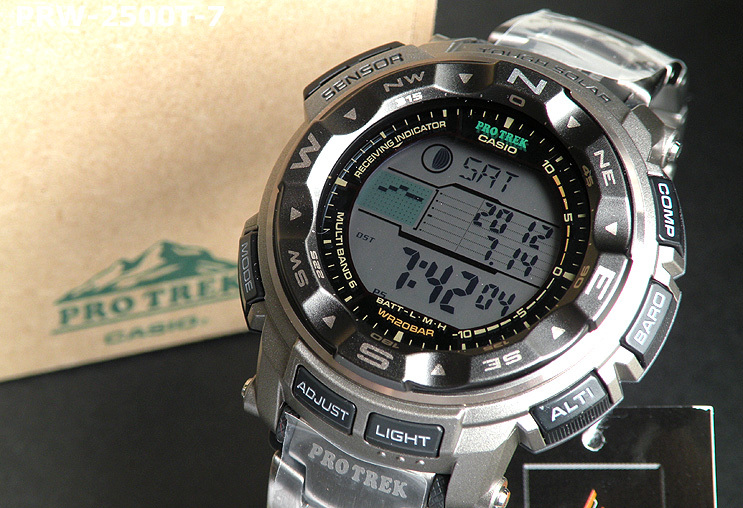 This 70434 LED Nomad Patagonian Expedition model happens to also have a digital compass. The watch tells the time in both analog and digital, which is quite unique. 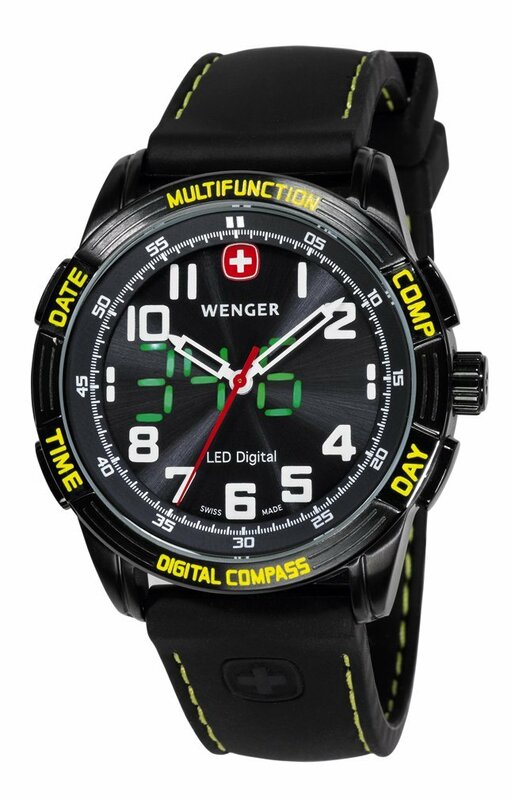 The case diameter is 43 mm, and the case thickness is 15.1 mm, this Wenger 70434 is shock and water resistant. Although this classic timepiece commands a higher price, it is of undeniable value and class.